We are a local independent letting agency whose aim is to provide a professional, effective and personal service. We have a clear understanding of Residential letting and sales and have gained a wealth of experience in both sectors of the market. It is very important to us that you remain as stress free as possible whilst we ease the pressure that can sometimes occur in property management. With our experience and growing reputation much of our business is based on client referrals and bespoke client service. Our professional accreditation, strict code of conduct, assures you that trustworthiness is one of our qualities. We advertise all our properties on the UK's largest online portals as well as our own websites to ensure your property benefits from maximum exposure to prospective tenants to let quickly. Whether it's your first property let, or you already have a portfolio to manage, we are confident that landlords will appreciate the personal approach we provide. The lettings market continues to see huge demand across the spectrum and Address Estate Agents already have a number of tenanted properties in and around the local area. 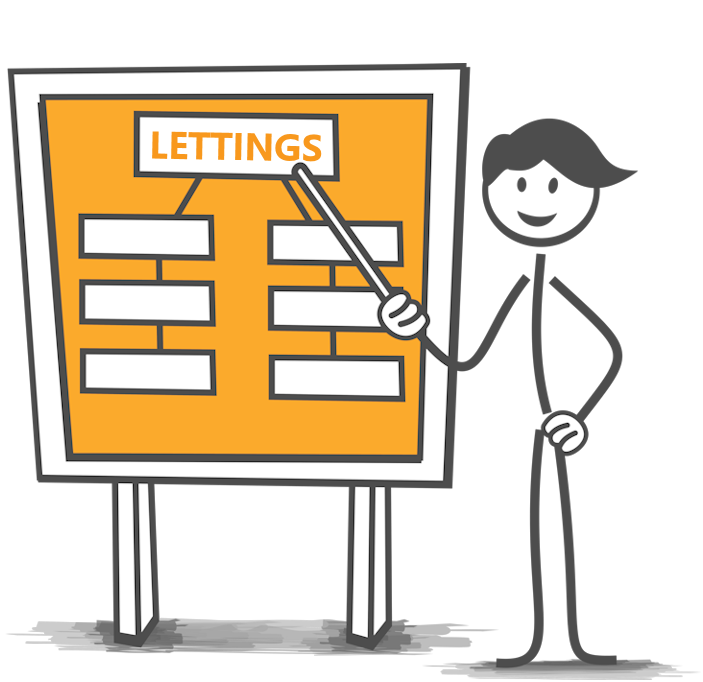 We keep our overheads down and our lettings staff focused on finding the right tenant. This means we can find you a tenant at a flat fee of just £350 (+ VAT). We will circulate details of your property to all suitable tenants including relocation agents and local companies. All properties are advertised on the major property portals including our own website. We will accompany all prospective tenants to view your property. We use an external referencing company, they will compile a report on the prospective tenant. This will include details of their employment and income, current landlord if applicable, as well as a credit search. We will collect and lodge your tenant's deposit with the Deposit Protection Service the only government approved deposit taking service. We prepare the Assured Shorthold Tenancy Agreement. We will organise for our independent inventory to carry out a comprehensive inventory proior to the commencement of the tenancy. We will arrange for your tenants to complete a standing order mandate for subsequent rental payments. Collecting and transferring your rental payments via bank transfer. We will note any arrears and pursue the tenant for settlement of the same, whilst liaising with the landlord to inform him of the situation. Preparation and submitting monthly statements of accounts. We will carry out routine visits of the property on a periodic basis, the first visit to take place within the first three months of the tenancy and then once every six months thereafter to ascertain the condition of the property and provide you with a written report and photos where necessary. Address Estate Agents will attend to the day to day minor repairs and maintenance of the property and its contents. We will calculate the cost of any damages owing to the landlord at the end of the tenancy, as advised in the Inventory and Check Out Report, coordinate the claim for the same the deposit and will also liaise/pursue the claim through the appropriate Deposit Scheme if necessary. We will arrange for the annual inspection and service of all gas supply and appliances, along with tenancy contract renewals.